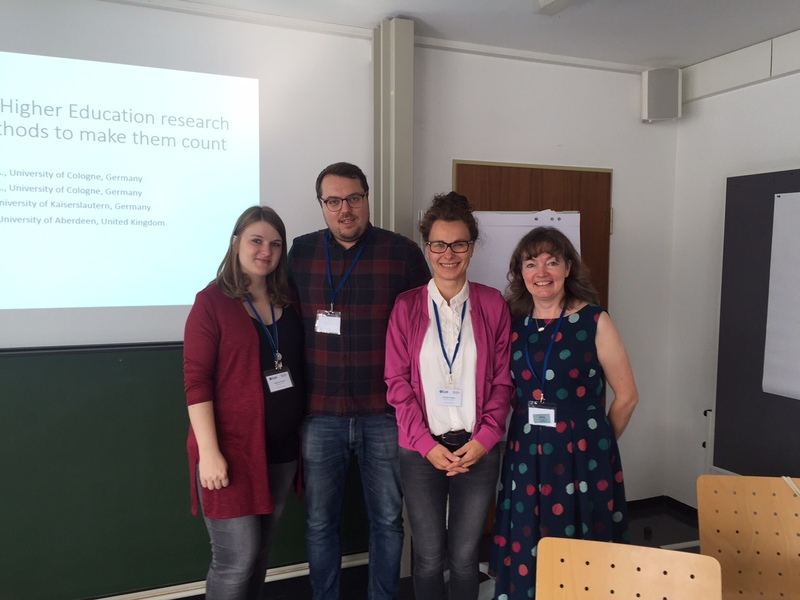 Tim Riplinger and Sarah Cornelius contributed to a ‘Collaborative Space’ session on Students’ Voices in Research at the EARLI SIG4 conference held in Giessen, Germany. Student voice research aims to increase the involvement of students in higher education research through action research and participatory approaches. MINE’s Intensive Programme (IP), a two week event which was held in Lisbon in February 2018, was presented at the conference as an example of participatory work with students. The Intensive Programme provided an opportunity for teachers to learn with and from students about the possibilities and limitations of a range of mobile learning tools and approaches. Several MINE products, including the wiki, have also benefitted from student input and feedback. The student voice continues to be an important component of MINE related work as ideas from the IP are implemented and evaluated in local contexts. Case studies from other ‘student voice’ research projects that Tim and Sarah have been involved with were also presented at the conference session, including You(r) Study and research into learners’ experiences of live online learning.